What's the purpose in creating the Gesventure Indicators? 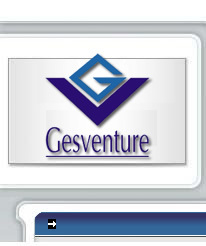 Like our european partners, specially Chausson Finance in France, Gesventure decided to create its own Indicator, being the objective to represent in a consistent and detailed way the developed activity, in semesters, by the national venture capital operators. These statistics (main operators, investment target sectors, geographical location, projects stadiums of development, medium amounts of participation, etc..) allow the enterprise, political and academic sectors to not only draw conclusions from what happened during the specific period, but fundamentally to identify the tendencies and know if they can be sustained or not. This Indicator is so much more important as we know that in our country, the transparency of the financial information is still seen as a menace, fact that makes the managers of the financial entities be resilient in giving information about the performance of such entities, because that would put them in a disadvantage position regarding their competitors. Happily, the responsible persons of the main national venture capital operators, who we openly thank, accepted our invitation allowing us to publish the aquired knowledge, contributing to the professionalization of an activity sector that is fundamental for the Portuguese Economy.